Many of you remember the first show in the Black Box Theatre. Well, we really missed what’s going on in the third-smallest town in Texas. 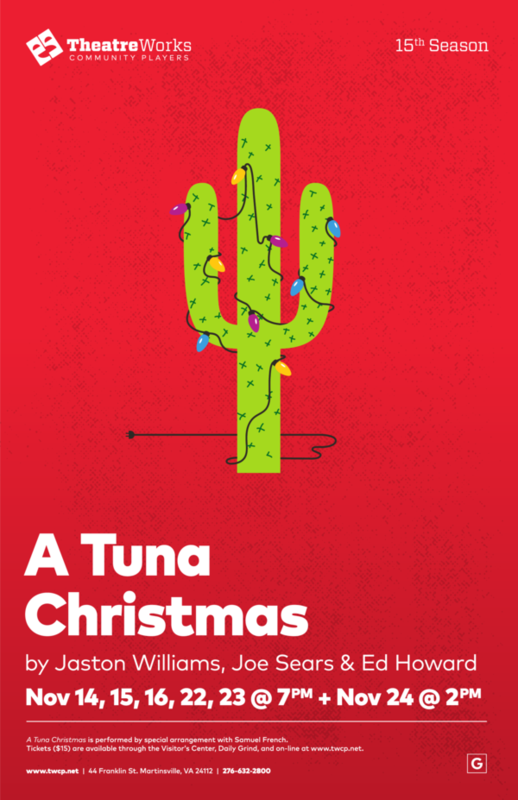 In this hilarious sequel to Greater Tuna, it’s Christmas…. and radio station O-K-A-Y news personalities Thurston Wheelis and Arles Struvie report on various Yuletide activities including the hot competition in the annual lawn-display contest. Pearl Burras, Vera Carp, and Petey Fisk can’t wait to return to the TheateWorks stage in A TUNA CHRISTMAS!